Craft area: In the workshop we have an area upstairs, where we make concrete ornaments for the garden. 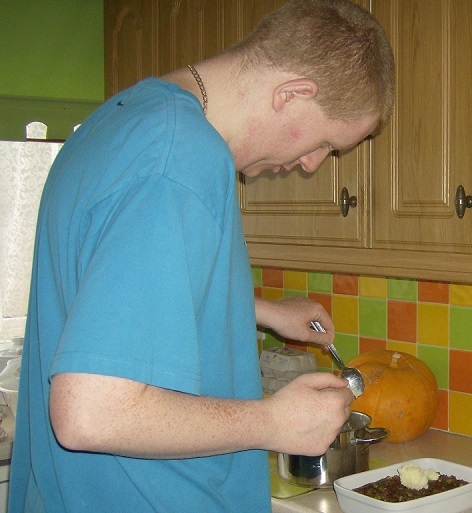 Service users can get involved in mould making, mixing of concrete, releasing and painting of items ready for selling or to take home. There is a clean area used for small assembly tasks and there is a quiet room for working on the computer (internet browsing at break times only) and for meetings.